Look up “best date night ideas” and you’ll find five million suggestions. But the best date nights here in Reno don’t have to be crazy expensive or over the top. The only non-negotiable? The food, obviously. Luckily, West Street Market has you covered – in more ways than one. Finding a spot for great food that will make you both happy can be challenging. But that’s the beauty of West Street Market! You want pizza, he wants tacos? We got you. She wants authentic Indian, but you’re feeling like a really bomb salad? Good news. With five vendors serving up killer food and the hippest wine bar in town, there really is something for everyone. Plus, we have that organic and local food movement commitment going for us, so you can feel good about being all ecologically responsible. There’s something to be said for taking your date somewhere off the beaten path. It shows you know your city, you dig originality, and you’re no slave to the predictable. West Street Market is a vibrant downtown hub known for its good food, good company, and good community vibes, and that’s obvious to the market regulars and those strolling in for the first time. Good food may be a best date night non-negotiable, but that’s just one critical element. Wherever the evening takes you, West Street will fit in there somewhere. And if you’re swinging by during one of our many events – from Reno Music Project open mic nights to musical performances to summer movie nights – you could spend the whole night here – happily! If you’re dining and dashing, our West Street address in downtown Reno is a prime launching pad to the movie theatre, Wingfield Park, the casinos, Brüka or the Pioneer Center, Midtown, wherever your evening takes you. 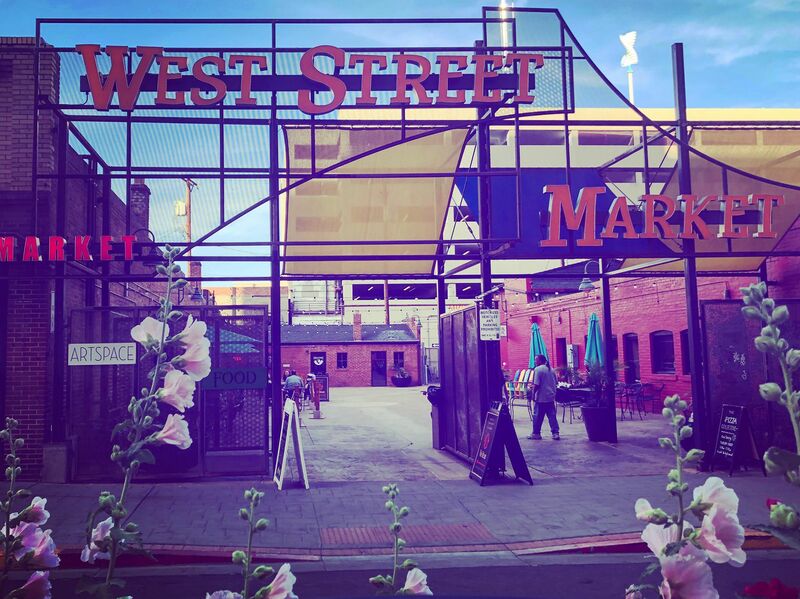 So there you go – date night in Reno should absolutely involve West Street Market. You’ll both love the food, the local beer selection, the wine bar, the buzzy ambiance, and definitely the entertainment. So keep it in your back pocket next time you put yourself out there – trust us, bringing that special someone to West Street Market is a good move.